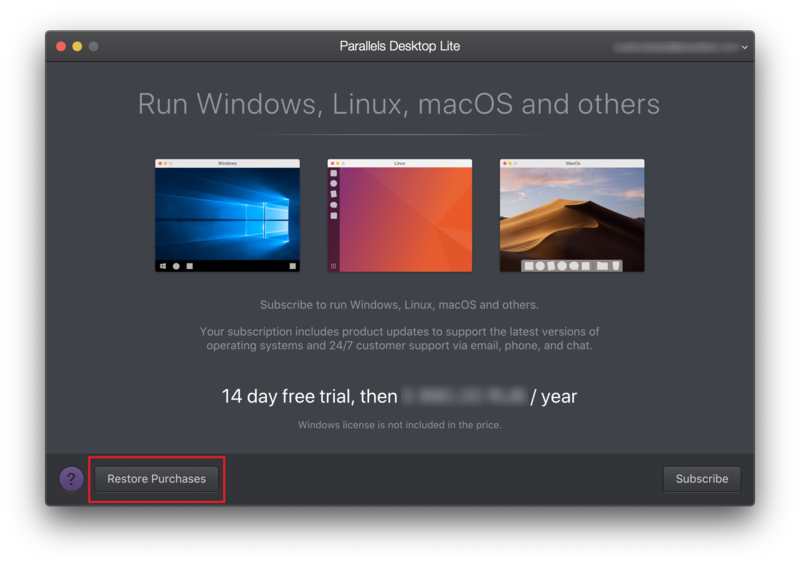 To use Parallels Desktop Lite on a new or on the same Mac after OS X was reinstalled, download and install the application, and follow the steps below. 1. Start Parallels Desktop Lite. 2. 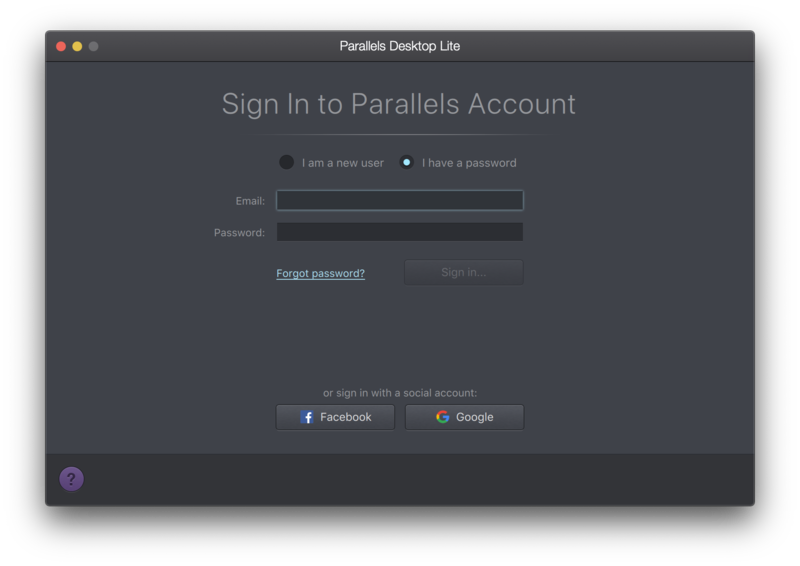 Sign in to the Parallels account you signed in to when you used Parallels Desktop Lite before. 3. Then you will see a window with available plans. Click on Restore Purchases at the bottom left corner of the window. 4. Enter your Apple ID and password. Then you can start using Parallels Desktop Lite.